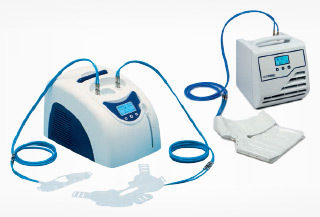 Hilotherapy is an advanced thermal therapy that helps reduce pain, swelling, tissue damage and muscle spasms. 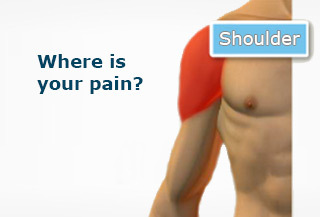 The recovery treatment of choice for the worlds leading athletes and surgeons. The thermal effect is generated by the medium of distilled water. 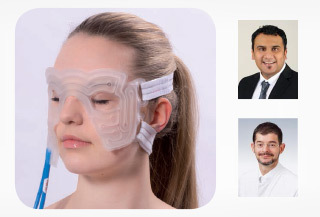 It is adjusted to the desired temperature, from +10 to +35 °C, accurate to the nearest degree, in special dedicated therapy devices constantly maintained at this level. This helps to ensure the medically required temperature is consistently and precisely provided. It can be applied for many hours or even days on end without any deviations. Sensors constantly monitor the relevant figures and ensure consistency. Within a closed-loop system, the cooled water flows through anatomically formed cuffs, available for various parts of the body in the form of disposable or reusable devices.